INDUSTRY.co.id - The customers of PT Perusahaan Gas Negara (Persero) Tbk (PGN) from the industry in MM2100, Cibitung, Bekasi, West Java, are increasing. PGN has just streamed natural gas to PT Keihin plant located at MM2100 Industrial Estate, Cibitung, Bekasi, West Java. 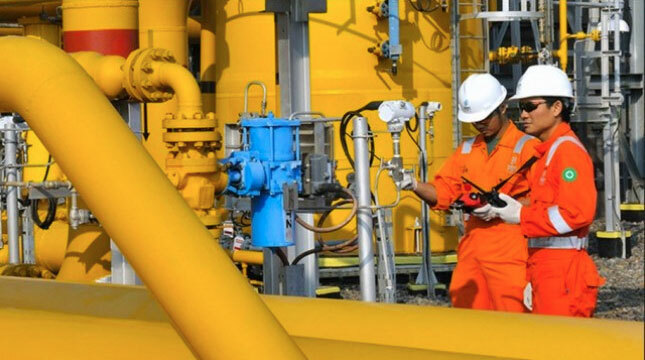 According to Bambang, Nusa Keihin Indonesia is the 205th PGN industrial customer for Bekasi area with total gas usage of around 50,000 m3 per month. Operational Director of Nusa Keihin Indonesia Anton Silaban said, before switching to natural gas PGN, it uses LPG fuel with consumption of about 25.000 kg per month. "The reason we are turning to natural gas is because of energy cost efficiency, so we can expand or expand our business by switching to natural gas, we can efficiently around 30 percent," he said. Vice President of Corporate Communication PGN Irwan Andri Atmanto added, as a state-owned company, PGN is the only business entity that distributes the most complete and largest natural gas in Indonesia. PGN distributes natural gas to various sectors ranging from households, SMEs, commercial businesses such as hotels, malls, hospitals, and restaurants, and industry, power generation, to transportation. He pointed out, in Bekasi, PGN has distributed gas to 5,881 households, 38 small and medium businesses, and 204 industries and commercials. Nationwide, PGN supplies natural gas to more than 120,000 households, 1,929 commercial businesses, and 1,630 large industries and power plants.